Continued original calappa's basic concept small silhouette & high impact. 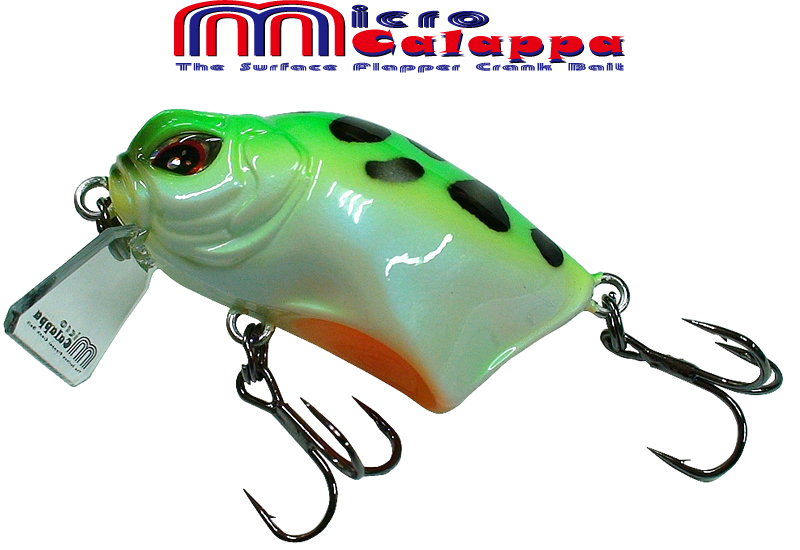 In addition realization more compact design,Micro calappa sprint to any high pressure situation. 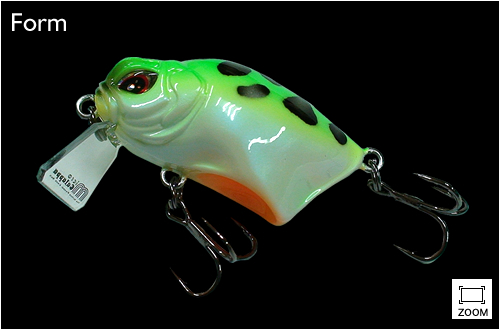 The special match of separate lips and very cup make original sound,bubble,and ripple that fish can't stop biting. Belly design's cup,you just reel lure,can strong stirring surface.